As after any operation you can expect to feel some pain. In the early days after your operation you will be given painkillers. Do not be afraid to tell the staff if you are in pain and if you do not find the drugs you have been given effective don’t just grin and bear it. Pain relief is more effective if pain is quelled early on rather than allowing it to take hold. Sylvia recalls: ‘There were times when the pain was dreadful but each day is an improvement and as you get better you feel better in body and mind. Pain is always worse if you are afraid, so knowing what pain to expect and what you can do to relieve it should ensure that you do not suffer unduly. 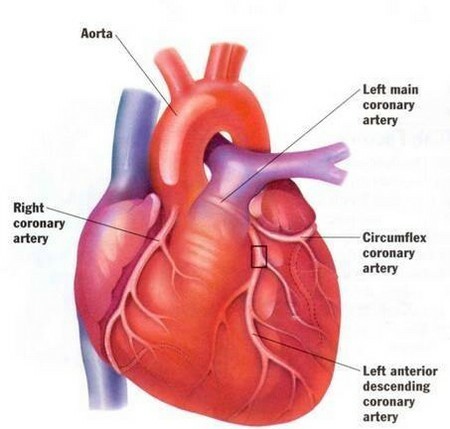 It usually takes around three months for complete healing to take place after heart surgery. You may experience pain in the chest or the leg or arm where the blood vessel has been removed. Your leg may also swell slightly. Wearing an elastic support stocking and keeping your feet up when you sit down for the first few weeks after your operation will help. Howard observes: ‘It took a good three months before I could do what I wanted to do. The wound from the leg held me back because of the pain. I used to put my leg up and keep it up.’ You may experience numbness and pins and needles around the scar. It is nothing to worry about and usually goes away of its own accord. You can aid the healing process and avoid discomfort by making sure that you don’t overdo it especially in the first six weeks after your operation. In the first few weeks you can expect to experience muscle pain especially in the centre of your chest, neck, back and arms where the ligaments and muscles have been stretched during the operation. This is normal and will gradually fade as the scar heals. You may find you feel especially stiff and uncomfortable first thing in the morning in which case it can help to do the exercises you have been taught. If what you are suffering is discomfort rather than actual pain, doing something distracting such as reading a book, calling a friend or going for a walk may help. If pain is so severe you cannot ignore it you should tell the doctor, as there are various painkilling drugs that can be prescribed to help. There are also techniques of pain management, including relaxation techniques that will help you feel more in control of any pain you may be experiencing. These days, with effective techniques of pain relief, there is no need for anyone to put up with severe pain either while they are in hospital or at home.